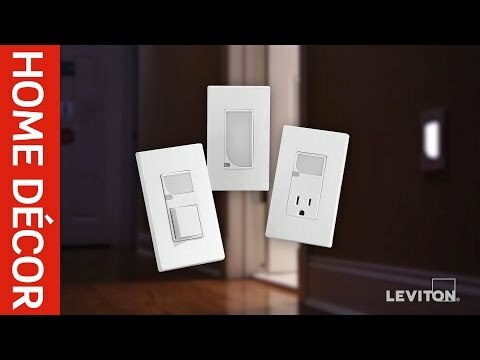 Leviton Decora® Tamper-resistant duplex receptacle in black color, has a unique design with heavy duty, impact-resistant thermoplastic nylon face and body construction for long-life durability. 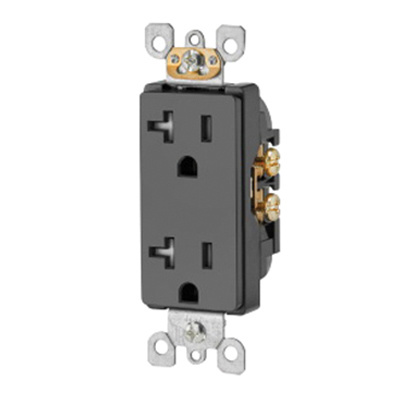 This 2-Pole, 3-Wire receptacle features shutter mechanism inside that blocks access to the contacts unless a two or three prong plug is inserted, helping ensure hairpins, keys will be locked out. It operates at a voltage rating of 125-Volts and current rating of 20-Amps. It is suitable for schools, libraries, childcare and healthcare facilities, guest rooms and guest suites. The ultrasonically welded duplex receptacle meets UL/cULus, CSA/cCSAus in File# 152105 and NOM standards.